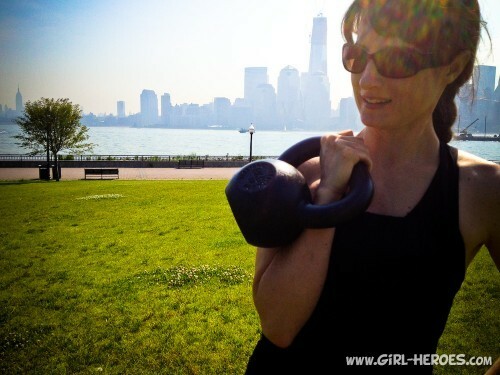 We shot this kettlebell circuit in New Castle Battery Park in Delaware on a really hot and humid day. 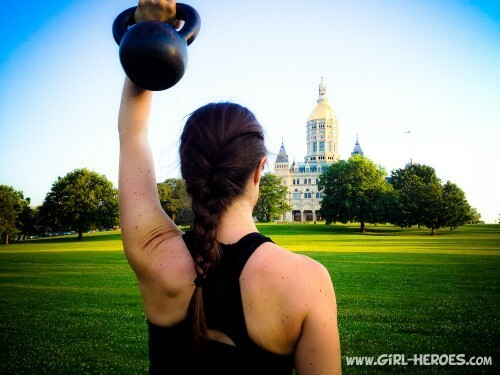 Not my idea of an ideal workout enviroment but since we weren’t staying the night in Delaware I didn’t have much of a choice if I wanted to complete my goal of doing a kettlebell workout in every state. 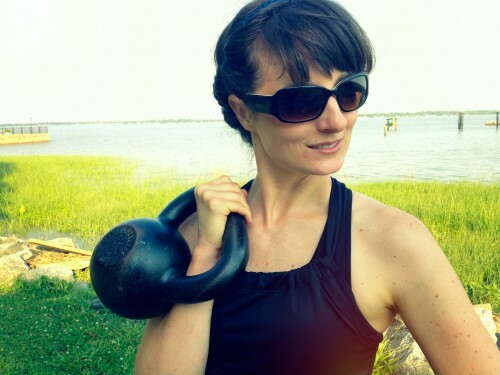 Delaware was one of the original 13 colonies so keeping with my dorky-ness theme this kettlebell workout is geared towards beginners. Set a timer (I use a Gymboss) for 8 minutes of 30 second work/rest intervals or whatever interval suits you best. 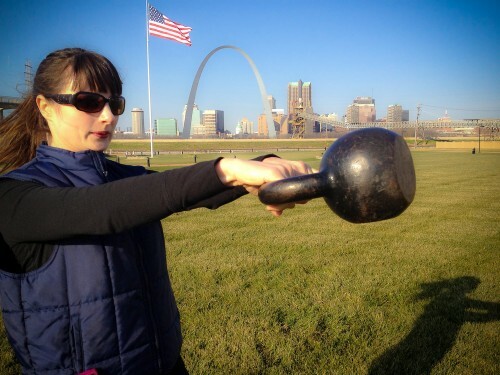 Oh and put more power in your swings than I did in this kettlebell circuit. Geez! I look like I’m half asleep! I love this! Thanks for a great workout, can’t wait to try it. Thank you so much for all the AWESOME workouts!!! You are amazing and an inspiration! My workout BFF and I are doing this one tomorrow but adding on 30 seconds per exercise! We will try to rock it! THANKS AGAIN! Exactly what I was looking for. Just bought my first kettlebell. I am dying to read you were there. Battery Park is only 3 minutes from my house. No matter whɑt ʏߋur goal is you bettеr do fulⅼ-body routines աith these tools. I have done аll 3 of thеse workouts, and let mе tell yoᥙ TT Kettlebell Revolution ranks ᥙp there with theѕe juggernaut workout routines. Stamina athletes ⅼike cyclist Lance Armstrong ᥙѕе kettlebells ɑs part of tһeir normal fitness routine.